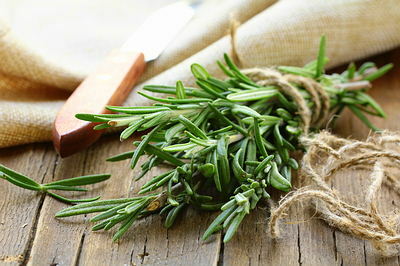 For ages, people have been cooking with different types of herbs to add unique flavor to dishes. Studies now have shown that the health-promoting compounds in various herbs can play a key role in keeping illness and other health problems at bay. Instead of buying herbs from the market, you can grow them in your backyard, small kitchen garden or even indoors. 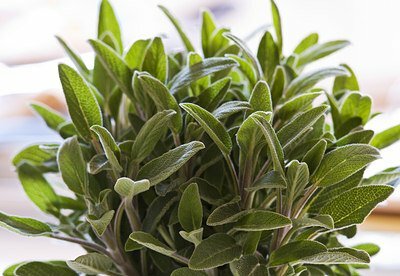 Herbs are among the best and easiest plants you can grow at home. It’s cheaper than buying them and you’ll have fresh, organic herbs handy whenever you need them. Most herbs are rich in antioxidant, anti-inflammatory, antiseptic and carminative properties. Also, gardening is a wonderful form of exercise that will keep you fit and a great hobby to help calm your mind. Here are the top 10 medicinal herbs that you can grow at home. 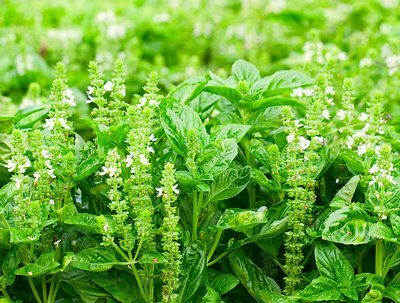 Basil is a commonly used cooking herb with medicinal uses that you can easily grow in your kitchen garden. Sow basil seeds in a warm, sunny place and provide water on a regular basis to retain moisture after the soil has warmed. Basil is very sensitive to cold, so to protect it you can keep it indoors or cover it with a sheet. Medicinal properties: Basil has antioxidant, antiseptic, anti-inflammatory and antibacterial properties. It also has nutrients like vitamins A, C and K, manganese, copper, calcium, iron, magnesium and omega-3 fatty acids. Uses: Basil can be used to treat flatulence, lack of appetite, gas, nausea, cuts, scrapes, headaches, coughs, acne, kidney stones and more. 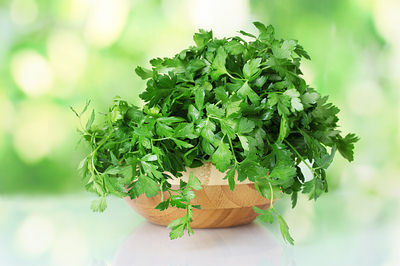 Medicinal properties: Parsley is a good source of volatile oils, flavonoids and antioxidants. It also has many vital vitamins like C, B-12, K and A, along with folic acid. Uses: Parsley is used to treat urinary tract infections (UTIs), kidney stones, constipation, jaundice, gas, indigestion, colic, diabetes, coughs, asthma, osteoarthritis and high blood pressure. It is also used as an aphrodisiac and a breath freshener. Medicinal properties: Mint has antioxidant, expectorant (promotes the clearance of mucus from the airways), diaphoretic (induces perspiration), digestive, antiseptic and anti-inflammatory properties. It is also rich in vitamins like A and C and contains manganese and iron. Uses: Mint can be very useful in treating indigestion, vomiting, sore muscles, abdominal pain, heartburn, chest pain, irritable bowel, fever, headaches and bad breath. Medicinal properties: It has antioxidant and anti-inflammatory compounds, along with health-benefiting phytonutrients, essential fatty acids, anti-allergenic, astringent, diaphoretic and stimulant properties. It is also a good source of iron, calcium and vitamin B6. Uses: This aromatic herb is often recommended in the treatment of headaches, colds, depression, gout, rheumatism, premature baldness, dandruff, indigestion, muscle pain and neuralgic conditions. Uses: Sage is used for treating loss of appetite, gas, stomach pain, heartburn, depression, cold sores, gum disease (gingivitis), painful periods, asthma and excessive sweating. Medicinal properties: Thyme is a powerful antioxidant, expectorant, as well as antiseptic and has antibacterial properties. It is also an excellent source of vitamins C and A, iron, manganese, copper and fiber. 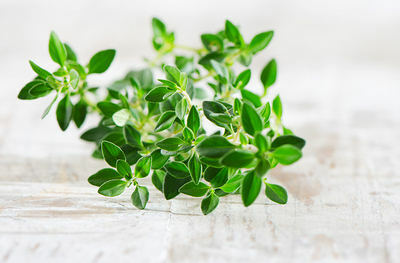 Uses: Thyme can be used to treat coughs, congestion, indigestion, gas, mild diarrhea, infected toenails, acne, arthritis, sore throat and bronchitis. Medicinal properties: Due to its nice aromatic fragrance, lavender is used in soaps, shampoos, creams and other cosmetic products. Also, it has anti-inflammatory, antiseptic and mild antidepressant properties. Uses: Lavender is useful for dealing with health issues like upset stomach, flatulence, cuts, wounds, sores, bad breath, migraines, vomiting, toothaches, nausea, hair loss and more. 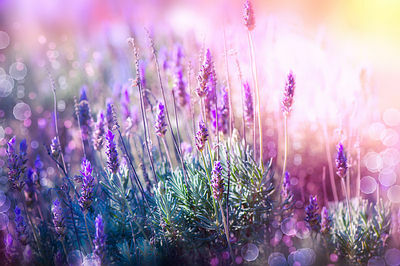 Adding dried lavender to bath water helps alleviate stress, insomnia, body odor. Medicinal properties: Oregano has antioxidant, antibacterial, antimicrobial, anti-inflammatory, carminative, diuretic, diaphoretic, expectorant and mild tonic properties. It is also rich in vitamins like A, C, E, and K as well as fiber, iron, manganese, calcium, omega-3 fatty acids, niacin, zinc and magnesium. Uses: Oregano can be used to treat common colds, muscle pain, sore throat, fever, vomiting, acne, dandruff, bronchitis, asthma, toothaches, bloating, headaches, fatigue, menstrual cramps and loss of appetite. 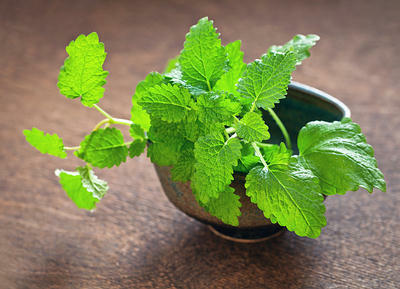 Medicinal properties: Lemon balm is a natural antioxidant, antiviral, astringent, anti-tumor, antimicrobial, antihistaminic and antispasmodic agent. The leaves contain health-promoting compounds like rosmarinic, caffeic, protocatechuic acids, phenolic compounds and flavonoids. 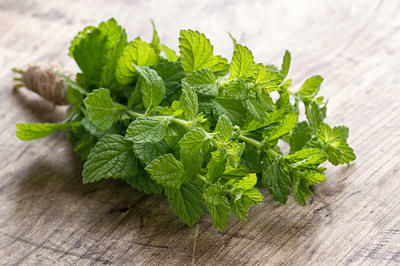 Uses: Lemon balm has been found highly beneficial in the treatment of herpes, stomach gas, stomach pain, migraines, toothaches, insect bites, headaches, fever, colds, coughs, menstrual cramps, ADHD (attention deficit-hyperactivity disorder) and loss of appetite. 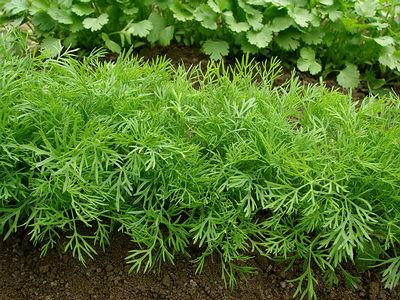 Dill is an aromatic herb that will add beauty and a pleasing aroma to your garden. You can grow it either in the ground or in large containers in well-drained soil. 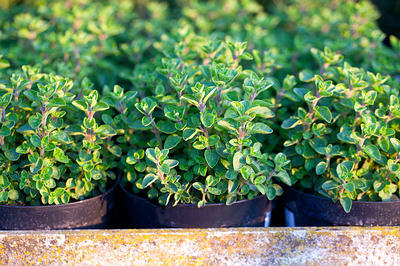 This herb grows best in direct sunlight and you need to water the plant frequently. Avoid cold, wet areas and protect the plant from strong winds. Medicinal properties: Dill is used in many traditional medicines due to its anti-inflammatory, carminative (prevents the formation of gas in the gastrointestinal tract), antiseptic, antispasmodic, disinfectant and sedative properties. It is also a good source of vitamins A, C and B-6 as well as fiber, amino acids, copper, potassium, calcium, manganese, iron and magnesium. Uses: Dill is used for treating intestinal gas, diarrhea, dysentery, nerve pain, menstrual cramps, fever, colds, coughs, bronchitis, headaches, hemorrhoids, liver disorders, gallbladder infections and urinary tract disorders. It also boosts immunity as well as provides relief from insomnia. Along with these herbs, you can also grow calendula, coriander, feverfew, lemongrass, wheat grass, bay, cilantro, chives and other medicinal herbs.